The Upgraded Version (3.4A Combined) Poweradd Pilot 2GS 10000mAh Portable Charger is coming, ideal solution for your charging requirements. Much more faster charging tech but much more cheaper price make the best offer you get. Compact size design for portability, and the long sides of the unit are rounded to make it easy to hold. Aviation Aluminum body to ensure lightweight and durability. Dual USB (1.0A + 2.4A) for charging 2 devices simultaneously. The unique blue 2.4A output design makes it more easy to recognize and get a fast charge. Smart Identification output, intelligently identifies your devices and delivers the fastest charge. There is no doubt that this new technology would protect your devices much better. Since the output port is USB, it can be used to charge smartphones, tablets, and even accessories, or any other 5V USB-charged devices (cable for Apple is not included) . 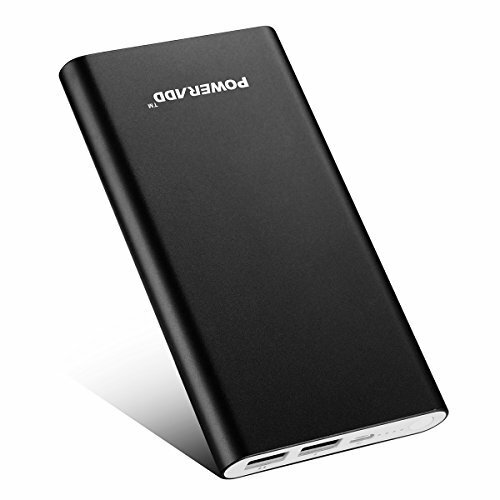 With this Poweradd Pilot 2GS 10000mAh power bank, you could get 4 full empty-to-full charges for an iPhone 6S, about 3 charges for a large capacity smart phone like Galaxy S6, and 1.5 charges for an iPad Mini. Sufficient energy storage makes it always be prepared to power. Here at Poweradd, we provide 24-Month limited product warranty and 24*7 friendly customer support for any purchase from us.